On the occasion of the 107th birthday, the National Constitution Center looks at ten interesting facts about one of the most colorful and controversial figures in American history. pesidentjohnsonIf Johnson hadn’t become President after John F. Kennedy’s assassination in November 1963; he still would have been a remarkable historical figure because of his career in Congress. 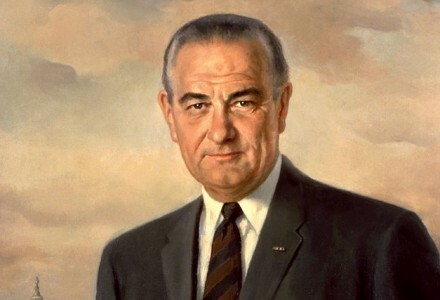 After becoming President, Johnson’s time in office came during a huge period of societal change in American society, marked by the Civil Rights revolution and the Vietnam War. Johnson’s legacy among historians and the public has also evolved since his death in 1973. 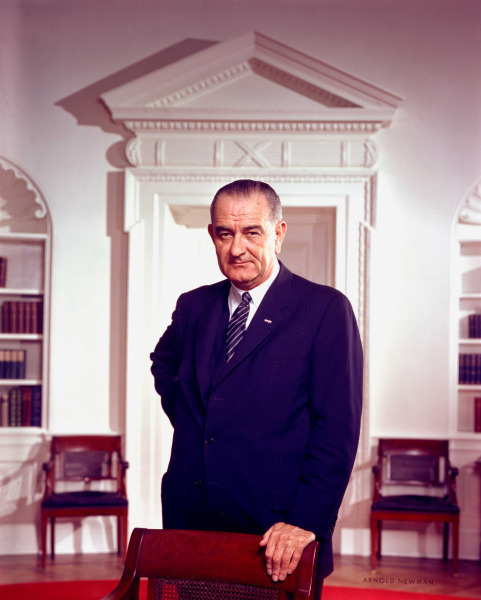 Indeed, along with Richard Nixon, who followed him as President, Johnson is seen as a complex figure involved in many significant initiatives and events that have marked modern American history. So how did someone born into poverty in Texas and who started out as a school teacher become one of the pivotal figures of the 20th Century? 1. Johnson was indeed from humble origins. 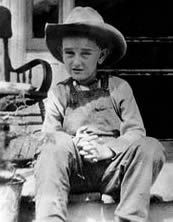 He was born on August 27, 1908, in Stonewall, Texas. The Johnson family had been in the area for generations, but Johnson’s father had financial problems, and the future President grew up under difficult circumstances. His sympathy for the less fortunate became a factor when Senator and President Johnson had a chance to affect social policy laws. 2. Johnson’s first career was as a teacher. As a student at Southwest Texas State Teachers College, Johnson was assigned to a tiny Hispanic school in a deeply impoverished area, where he thrived. Johnson left his brief career as a teacher after four years to pursue politics during the Great Depression. 3. Johnson’s political ambitions were clear early in his career. 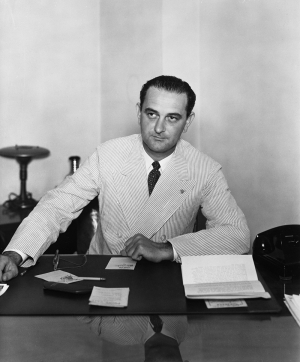 His father had served in the Texas state legislature, and Johnson became a congressional aid in 1931. By 1937, he won a special election to the U.S. House to replace a deceased House member named James Buchanan from Texas. 4. Johnson was the “surrogate son” of powerful House Speaker Sam Rayburn. The legendary Rayburn had served in the Texas legislature with Johnson’s father, and Rayburn backed Johnson’s fast rise as a leader within Congress. 5. Johnson nearly was killed in World War II. Johnson entered the Naval Reserves while still a Congressman, and on his only bombing run in the South Pacific, he boarded a plane called the Wabash Cannonball for his mission. A last-second trip off the plane to use a bathroom saved Johnson’s life. On his return from the facilities, Johnson boarded another plane that survived the mission. The Wabash Cannonball crashed, with a total loss of life. 6. The Landslide Lyndon incident. Johnson won election to the U.S. Senate in 1948 after winning a Democratic primary by 87 votes. Allegations of voter fraud are still debated to this day about the election. 7. Johnson quickly became the Senate’s leader. In 1953, he was named Senate minority leader after opposing Republicans gained control of the Senate. Two years later, Johnson became Majority Leader when Democrats regained power. 8. The energetic Johnson reshaped the role of Senate Majority leader. Despite having a heart attack in 1955, Johnson worked tirelessly to promote himself, and agendas he backed, including Civil Rights legislation and the American space program. His ability to persuade politicians of both parties was legendary. 9. Why did Johnson decide to become Vice President? Johnson lost a bitter campaign against Kennedy in the 1960 Democratic primary, and the Kennedys shocked observers by choosing Johnson as JFK’s running mate. One theory is that Johnson saw the position of Vice President as expanding his power base in the Senate. But after the 1960 election, Johnson was rebuffed when he tried to chair the Democratic conference in the Senate, and his fellow Democrats saw the move as a violation of the separation of powers between the executive and legislative branches. 10. 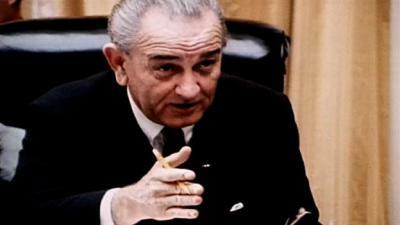 The Johnson presidency was incredibly active. 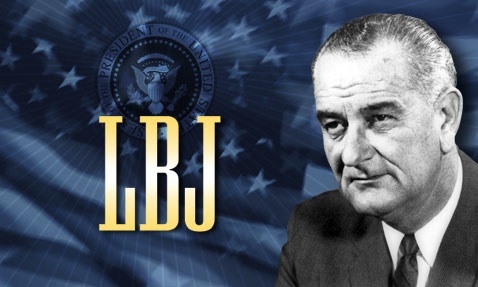 In addition to pursuing the Vietnam War, President Johnson pressed on with an expansive slate of programs labeled as the Great Society that included three landmark Civil Rights bills and Medicare. But Vietnam’s impact damaged Johnson’s political base severely, and he declined to run in the 1968 presidential election.